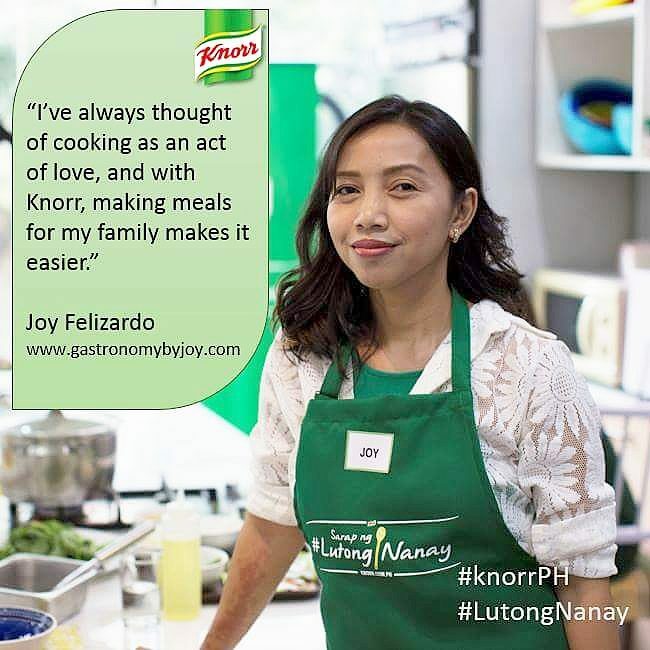 It's said that you can find almost anything in Manila, and that statement couldn't be more true, especially for adventurous eaters. 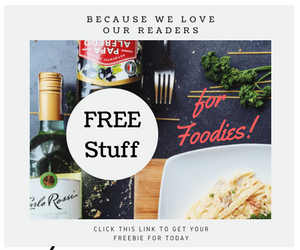 I have been resisting several food tours which have been slowly gaining popularity in different parts of the metro. In a city that's a melting pot of nationalities, it's no surprise that there's a variety of foods from different cultures available everywhere you look. 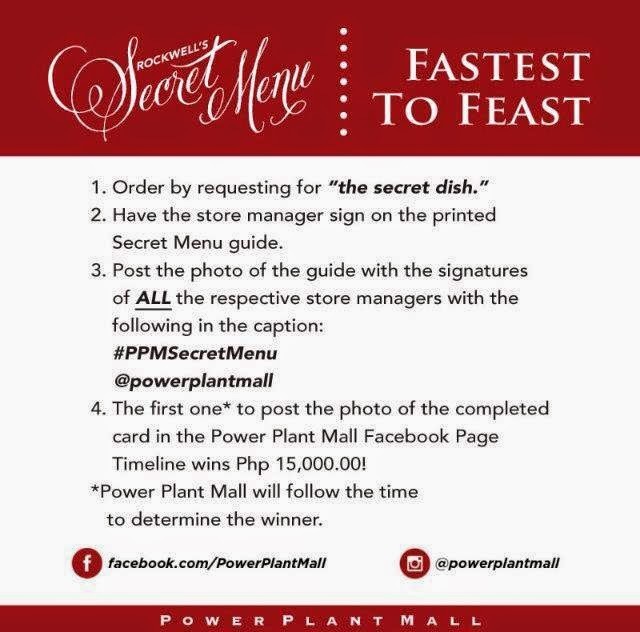 To excite our tastebuds more, Powerplant Mall and it's dining community have thrown together a fun food adventure for this weekend. It's actually a sequel to the first weekend of the Rockwell's Secret Menu. If you're ready to try a food that's much different than the quintessential all-meat pizza, there are several dishes around Rockwell that will really test how bold your palate is. 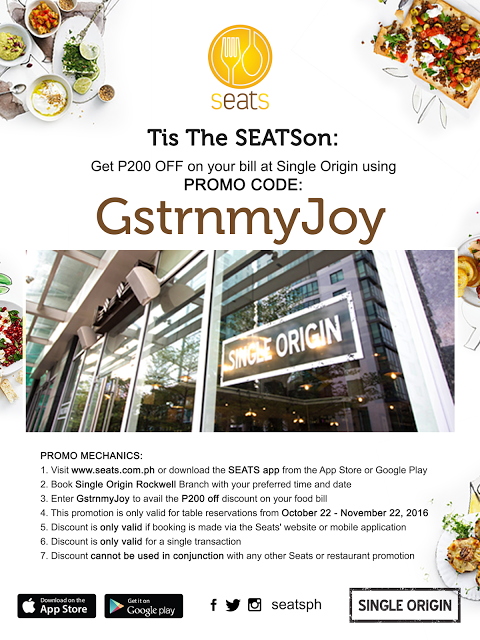 What is even greater is that you can also get to go home with P15,000 or P2,000 after gorging wonderful dishes from acclaimed restaurants in Powerplant mall. 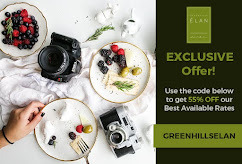 On May 31 to June 1, eat around the Power Plant Mall and and get to try limited edition flavors from participating restaurants with the likes of Hatch 22, AK Bistro, Rambla, and Bizu. These restaurants will be introducing original concoctions that are not part of their usual menu. Impelling twists will be discovered on some of your all-time favorite dishes. I can finally try some of the dishes that I've been wanting to taste from the restaurants that are in my bucket list. How about you, are you ready for the challenge? 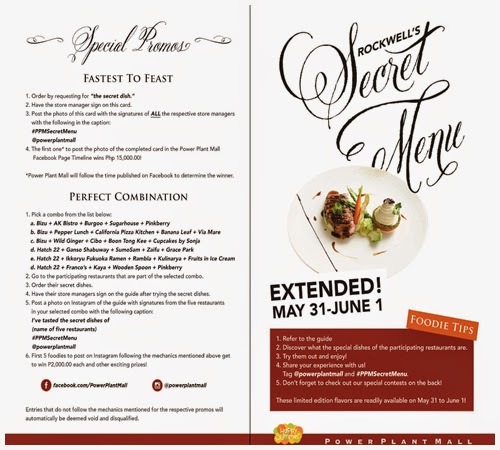 Visit the Power Plant Mall on May 31 to June 1 and join me and other foodies, as we discover Rockwell’s Secret Menu! Call 898-1702 for more information.